In 2007, a teenaged Australian became the first documented case of “climate delusion” when he was hospitalized for dehydration after refusing to drink out of fear of contributing to the nation’s drought. Carley Chavara’s story on “climate trauma” was the most-read last month after being linked to by NPR. 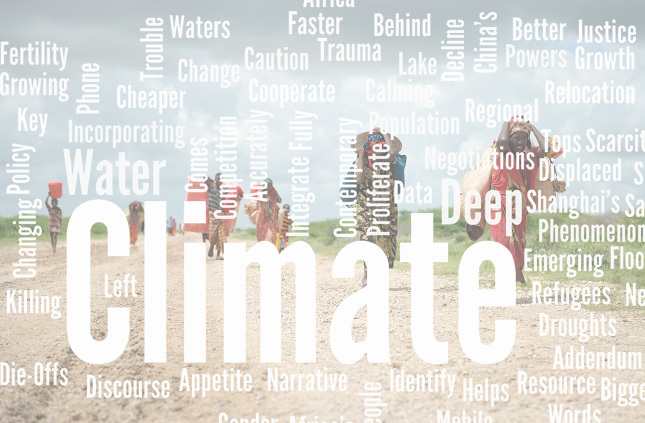 Joining that were new stories on the impact of population growth and climate change on water scarcity; resource competition in the deep seas; “climate refugees”; using mobile phone data to track displacement; and considering the full meaning of “gender” in climate adaptation.